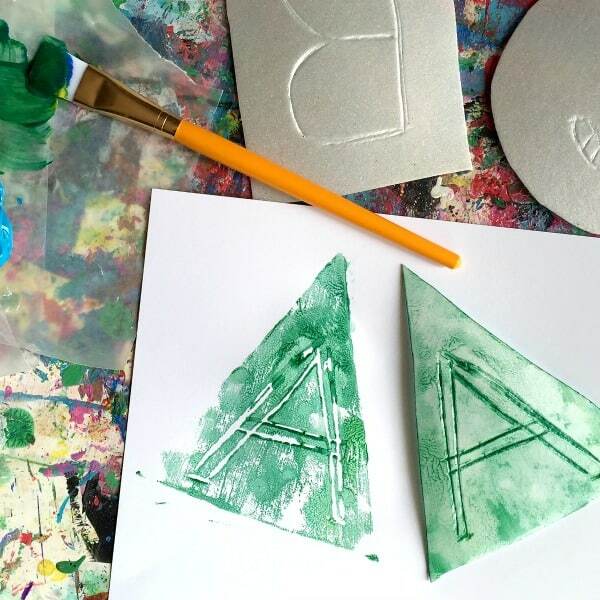 This art alphabet activity is perfect for hands-on, creative learning. 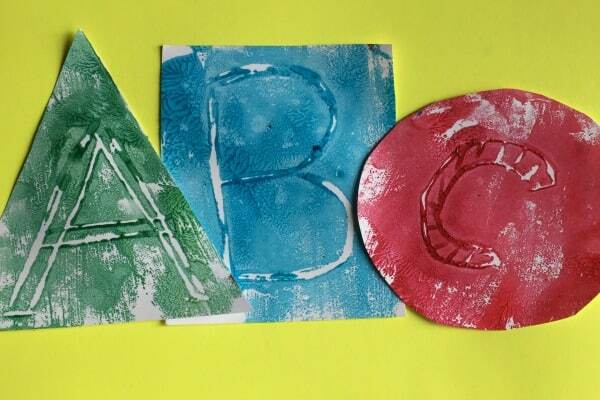 It’s from Erica from Mini Monets and Mommies who joins our ABCs and 123 letter and math series with this super print-making project. Learning letters while making paint-covered prints? Sure, we’ll say yes! You want your young child to practice her A,B,C’s (both reading and writing) and are looking for something slightly different? Paint printing projects are always a big hit with the pre-k set. They’re easy to set up, fun to create and best of all – they give the kiddos the chance to try out an art process that goes beyond crayons and markers. Not that there’s anything wrong with crayons and markers (after all, they’re fantastic for building fine motor skills). But, print-making provides a different or unexpected sort of medium that the kids can really get into. This kids’ art activity is easily adaptable for children of multiple ages. Younger preschoolers may need to trace over letters that you help them to draw before they’re ready to go it alone. Older kids can take a heftier piece of ownership when it comes to each and every step (in other words – step back, take a hands-off approach and watch as they create). Keep in mind, the print creates a mirror image of whatever you’re using. While some letters are the same backwards and forwards, others aren’t. That’s why we’re starting with a wax paper tracing. This allows your child to do the first step and draw the letter facing the correct direction (meaning that she’ll get to experience writing it, without having to puzzle out how to draw it backwards). 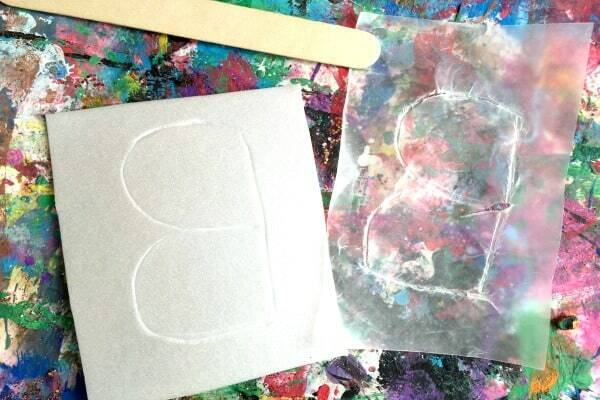 If you’re working with an older child who’s adept at writing already, add on a critical thinking piece and ask your little learner to figure out how to draw a mirror image of the letter directly onto the printing plate (hint: Use a real mirror first). Write the letters (super-size them, having your child draw them hand-sized or larger) onto the wax paper. Your child can also make bubble letters or draw a pattern on them. Flip the paper over so that your child can still see the letter, but it’s now a mirror image. Cut the plates into shapes, adding in a bit of math! Place the paper onto the styrofoam. Trace over the letter lines with the craft stick, pressing into the foam. Your child can experiment with the amount of pressure she uses. More pressure makes a deeper line (and a clearer print). If the traced lines are faint when she removes the wax paper, she can retrace them directly onto the foam. Roll or brush the paint over the lines. Press the painted plate onto a piece of paper. Rub gently. Peel the plate off to reveal a print. What can your child do now? Cut out the letters (after the paint has dried), line them up into a giant alphabet and glue them onto poster board. Or, use individual letters to collage words together. Don’t toss those printing plates just yet. 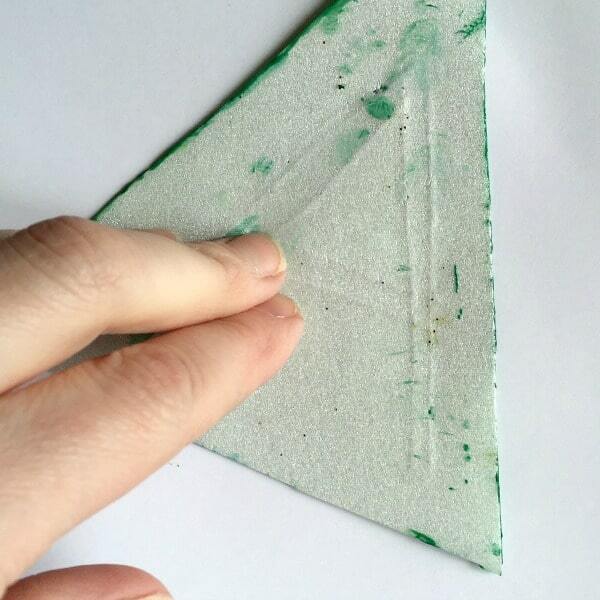 Wipe the tempera off of them and reuse them again, making multiple prints from each plate. Alphabet plant collage: Use grass and glue to shape letters. Letter book: Learn letters with an A,B,C alphabet book-making craft. 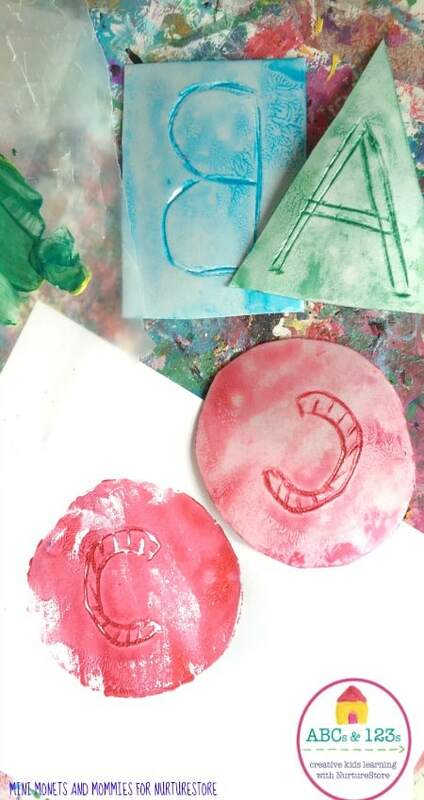 Water color resist: Use paints and petroleum jelly to make magic letters. Erica is a mom, arts educator and parenting writer. She’s also the creator of Mini Monets and Mommies, an arts and crafts resource for parents and children. Connect with her and explore more artsy activities on Facebook, Instagram and Pinterest!